An INFINITI’s braking system consists of various components outside of your vehicle’s brake pads. Therefore, to provide you with optimal safety and peak functionality, we want to ensure that the entire system is operating up to par. Our technicians have been expertly trained, and undergo regular training to guarantee that their service techniques remain up-to-date with INFINITI advancements. 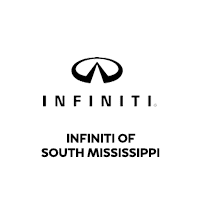 Visit INFINITI of South Mississippi and let our professionals handle your vehicle servicing needs for you. Our dealership strives to provide top-notch INFINITI maintenance and service to make sure that the vehicle you drive is dependable and safe. We care about the quality of your INFINITI, so drivers near D’Iberville, Mississippi entrust their brake servicing to us. Our service technicians are skilled and knowledgeable in various brake service areas, including line replacements, shoe replacements, master cylinder replacements, and much more! For convenience, you can easily schedule a service appointment online. Our dealership is here to provide you with exceptional brake service Monday through Saturday. To speak with an expert about questions or concerns regarding your vehicle, give us a call or fill out a quick Contact Form. Our professionals look forward to hearing from you, and we will be sure to respond to you as promptly as possible.